Great service, no issues, sim card worked perfectly. Excellent value and reliable service while in Israel. Sim cards were ready well in advance of our trip. We use TalknSave exclusively. "Very pleased with TalknSave. The phone service was great! Able to make and receive calls with no problems." "Getting a phone comparable to one I normally, and therefore know how to, use." "Yes! Dependable service, clear instructions, and reliable." "If I would know how to use it." "Yes, it is efficient and simple." "That I would not be able to get the SIM card in correctly. Everything worked." "I loved having my own familiar phone and not a second one." "Just like in the U.S., I needed to be able to be contacted in Israel. This served the purpose very well." "Yes. It is very convenient." "I was worried my existing Israel SIM card wouldn't work. But I was pleasantly surprise how easy this rental of phone line was." "The best feature was that I was able to connect seamlessly upon arrival at Israel as I already had a pre-existing SIM card. That allowed me to immediately connect and contact my friends and family to let them know I had safely arrived and also to make arrangements for my tour." 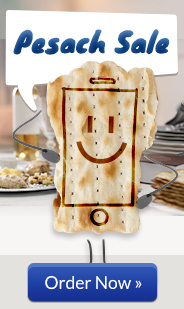 "Yes, it is the easiest way to stay in touch with your family and friends while you are in Israel. The unlimited data plan works well for someone like me." "Whether or not I would have connection in the airport upon landing." "The service and connection were excellent." "I wanted to be sure I would have seamless communication during my trip." "Worked great for me. Was a minor inconvenience that could not get texts from my old US phone, but not a big deal for me. " "Best feature was the SIM card that was made to fit multiple slots and the simple instructions on how to use it. Turned out the concern in ordering the correct size was unjustified, i.e. you don't even need to know ahead of time, so you can take that off the ordering instructions. Ability to have a US phone number was very nice. It helped a lot on those calling from US who could just call my old phone which would forward. Ease of use, convenience, ability to keep the SIM card for next trip or child's gap year. Ability to keep same number is nice feature that I might use in future. All in all very satisfied, thanks." "I had no concerns because I had kept the SIM card from my previous visit. I reactivated the SIM by contacting the Melbourne representative." "The usefulness is in being able to use the 4G network when WiFi isn't available. Particularly as I use the GPS service Waze for navigating around Israel. Local calls are easily received and made. It's all good!" "Yes! A useful service, however perhaps my fault but I found it expensive. The exchange rate from US to Australian dollars added to the cost." "Could I really continue to be in touch with my friends and family back home? Would I have enough data and international calling minutes without an exhorbitant expense? Would the plan warn me if I was getting close to the limit?" "The cell service and phone service that the SIM card provided were just what I needed." "It worked great! No problems. No worries!" "Yes - It was easy!" "If I would be able to make phone calls and receive them." "It was easy to use once I got the hang of it." "I was worried I wouldn't have my contacts using a different SIM Card." "I didn't use any customer service as my concerns were unfounded." "Absolutely, in fact, I'm recommending them to my parents!" "That I would get charged for a service and not know about it until I was at the end of my billing period." "I didn't have any problems, everything was fairly easy and simple with a great coverage." "That I could use data or have a plan that was data specific because it was very useful to keep in touch on social media, as well as share my exploration of Israel through the duration of my stay." "I would! I would use it again, or direct people I know to TalknSave." "I wanted to make sure that I rented a phone because it was a requirement for my trip to Israel." "I think it is important to have cheap phones while traveling because cellular data is expensive on an American phone and there isn't wifi everywhere. Talknsave provides this service." "The ability to text and call both Israel and US numbers for cheap." "I would recommend the SIM card and not the phone. It was annoying having to tap on the keyboard several times for each character. I only used the rental phone for emergencies." "I wasn't sure if it would work and if there would be anyone that would be able to help me." "I couldn't be happier with the service I received. No problems!" "LOVED the unlimited data. It was exactly what I needed to be able to access What's App from anywhere." "The mobile hotspot was great and well worth having." "Whether it will work right away, and if I will be able to easily use it." "I've used you guys the past 3 times I went to Israel and am very happy!" "It always worked, I didn't have to contact customer service once." "The mobile hotspot worked wherever we used it, on multiple devices." "Yes, I have recommended you in the past and will continue do so. B'hatzlacha." "Ease of installing the SIM card and ease of using the service." "There was no problem with installation and the service worked extremely well." "I had never heard of TalknSave and was used to renting from another established vendor." "Yes, all went well at better price." "I wasn't sure how to replace my usual SIM card with yours and was worried that it wouldn't work." "It was excellent. I was easily able to install the SIM card." "Having unlimited talk and text in Israel and a Canadian phone number." "Yes. It was a good value and convenient to use with good support available both in Canada and in Israel." "Cost and connectivity to South Africa...keeping WA number"
"We only used it for 7 days and it wasn't cheap, yet cheaper than others in Israel. Could keep WA number and you kindly included calls to South Africa." "The fact that we can activate whenever we return, even in a year. Also having data to download maps and the ability to call SA when needed." "The service was really good in every way." "Trouble-free. I had the normal function I have at home. It was easy to order online, pick up at the conference venue and extend." "I wasn't sure if the SIM card would work with my iPhone." "Service was excellent and I would use it again. It would be great if the American Stay Local number could accept SMS and MMS messages so as to reduce confusion and make the service more complete." "Yes, I would use it again and recommend the service to friends and family." "I did not think that I would receive my order in time for my trip...Another concern I had was whether or not the SIM card was going to work with my Samsung Galaxy Note 4, which it did PERFECTLY!" "The phone service and the internet package. The internet worked well with my Nextbook Tablet. I did not have a problem with dropped calls or signal even around Jerusalem." "YES! YES! YES! I would because of the fact that the price was great and I had no dropped signals, etc. TalknSave made my trip successful! Toda Rabba!" "Since I was getting a refurbished phone I was concerned it may not work properly." "NO PROBLEMS AT ALL and I was reassured from the start that if I did have any problems I can call immediately for assistance and/or for a replacement need be." "Reliability. I've been using you for years. I also love the new concept of buying the phone rather than renting as all I have to do now is activate the service on an as needed basis...we have AT & T so as phones are locked this is an easy convenient option just to have the extra Israel phone!!" "I liked being able to reuse the SIM card. It was nice not having to think about picking up and returning equipment. Having unlimited data was also helpful since I had very limited access to WIFI and I also did a lot of driving and needed to use GPS." What was your biggest concern before your trip regarding using a TalknSave SIM? "That we were unfamiliar with the company and would be paying far more had our daughter rented upon arrival in Israel instead of in advance." Now That You have Used TalknSave, how do you feel about the TalknSave Service? "Yes, we reviewed comments online and ultimately felt comfortable renting in advance. Website was clear and easy to navigate." What was your biggest concern before your trip regarding us a TalknSave SIM card? "I wouldn't be able to reach my family as needed." "It was better this time around than my previous time...[before] the service didn't cover so much area. In some parts there was no network , but this time around I was able to have network almost everywhere. Thanks for the improvement!" "We had no concerns. Your Australian rep, Yoni Paluch, provided top service. All we had to do was insert the sim cards. Everything worked seamlessly. We are long term clients and will remain so. Wishing you a Shana Yova U'metukah." What was the best feature or value of the TalknSave service?" "Free calls to America, unlimited texting, and good customer service by email." What was the best part about choosing TalknSave? How was the customer service experience? Would you recommend TalknSave to other parents? Why? "Service almost always worked. There was only a disruption of service twice during the year." "Easy to sign up & use"
"Easy set up and billing." "I was always able to reach my daughter as was her seminary." "I would because I think it's the safest phone option while in Israel." "Fact that program helped to coordinate it"
"Yes -good service and ease of use"
"Good. Only problem was time difference and Friday call." "Yes. Good phone service all over Israel."